While the transition of moving from the Las Vegas Metropolitan Police Department to the St. Helens Police Department may seem like night and day to some, SHPD Police Chief Brian Greenway seems to be managing the transition with ease. 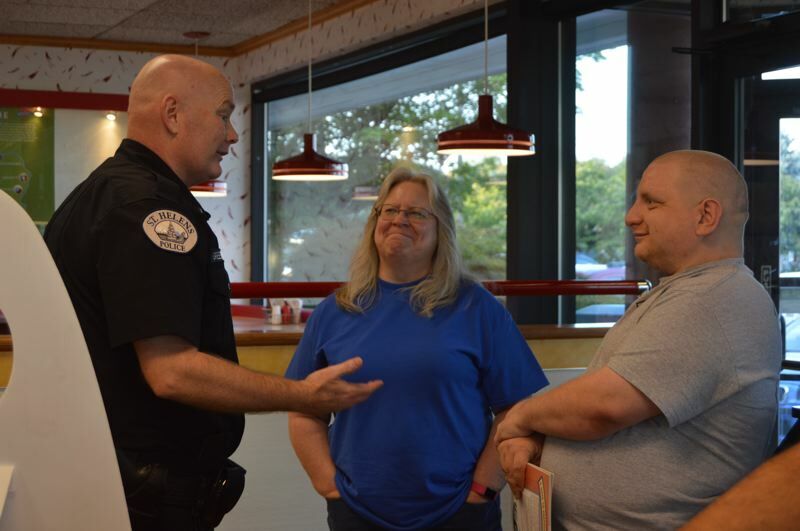 On Tuesday night, Aug. 28, Greenway attended a "Lemonade with the Law" event at Burgerville in St. Helens billed as a way for community members to interact with law enforcement officers in a casual environment. The event also provided an opportunity for the community to meet with Greenway, who was hired in July and began working with SHPD earlier this month to fill the vacancy left by former Police Chief Terry Moss, who retired. Lemonade with the Law drew a decent crowd mixed with SHPD officers and their families, St. Helens City Council members and residents looking for the chance to shake hands with the new chief. Some remarked on Greenway's welcoming personality and his approachability. Alauna Dodge, a Clatskanie resident attending with Anthony Walz or Rainier, who works in St. Helens, noted how easy it was to start a conversation with Greenway and his friendliness. Cheri Hogue, the wife of SHPD Lt. Joe Hogue, commented on his apparent enthusiasm to lead the department. "He seems very nice and excited, and I think excitement is a good thing for the community and police department," Cheri Hogue said. Greenway has had a chance to learn about St. Helens during his first few weeks on the job. 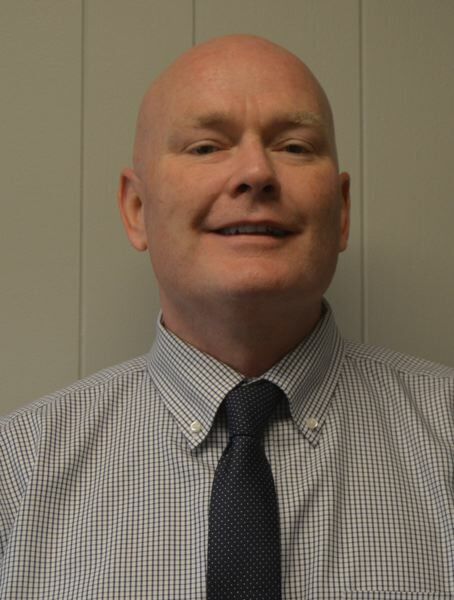 From personal business, like finding a place to live and setting up a utility billing account, to familiarizing himself with his professional duties, Greenway said he's working to establish relationships throughout the city. "On my first day here I had a staff meeting with everybody, because you know everybody wonders what's this big guy from Vegas — not big guy, but coming from a city — and everyone questions, 'Why? Why St. Helens after living in a city of 2.2 million people?'" Greenway said. "And I explained to them, this is the area that I vacationed in, in Oregon, and fell in love with it and decided to move my family here." Originally from a small town in Illinois, Greenway noted that coming to St. Helens reminds him of where he grew up. Greenway has already developed some ideas about how to build strong community relationships as well as to refine internal relationships and processes. "It's about looking at, is there a better way to do what we've always done?" Greenway explained. Moving forward, Greenway said he also hopes to launch a monthly community event where he can meet with residents and answer questions they might have about the police department. Some of his ideas include evaluating police department practices and internal functionalities to help free up time for officers to be in the community and spend less time doing paperwork, for example. "We're only as good as the citizens think we are," Greenway said. "I want to brand St. Helens as the best in Columbia County and the best in Oregon, and I can't do that without the buy-in of the personnel here."